Here's a song that I liked within the first few seconds of hearing it. It's Paperboy by Rebekka Karijord. The video is a fan made one which was created by Amie Varney and Hannah Crofts. It's perfect for the song. Amie and Hannah say on their Youtube page that 'in keeping with the title we made it in the attic using just paper, tape and scissors'. I had never heard of Rebekka before until yesterday. 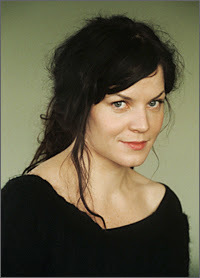 Her biography here on the Harmony Ridge Music page is really interesting. She was born in Norway and also lives in Sweden and considers both places her home. She had lived in 17 different places by the time she was 18. I think the places that we live in really shapes our characters and experiences and when that is channelled into creating music and song-writing it becomes universal. I'm loving all the new music from around the world that I've been discovering recently. Here is Paperboy by Rebekka Karijord and a video created by Hannah Crofts and Amie Varney. Pop duo Us are Carissa Rae and Michael Alvarado. They are singer-songwriters from California. Their cover of In the End by Linkin Park looks like it will chart in the UK singles chart this coming Sunday following the use of the song over a montage of images of England's exit from Euro 2012. What is almost nicer than their cover of In the End is their version of We Found Love by Rihanna featuring Calvin Harris which they recorded in January of this year. 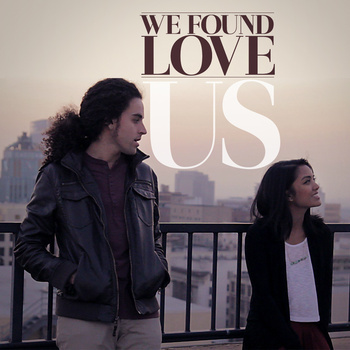 Here is their version of We Found Love. Here also is their version of In The End.